Unlocking The ‘Barca Way’ – The Secret Ingredients Revealed! 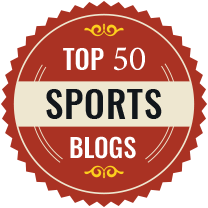 Paul Bradley is a Reader in Sports Performance, Liverpool John Moores University and the author of this article which was originally published in The Conversation, an independent source of news and views from the academic and research community. FC Barcelona are one of the most successful domestic football teams of all time. Some believe that one of the key ingredients of their success, across all levels of the club, is the unique philosophy and training methods employed by the array of coaches – from academy level up. Now, for the first time, our new research may provide some insight into the training methodology and, potentially, the secrets of the club’s success. These “secrets” could be closely associated with the theories put forward by coach Paco Seirul·lo and how they link with cutting edge sports science. 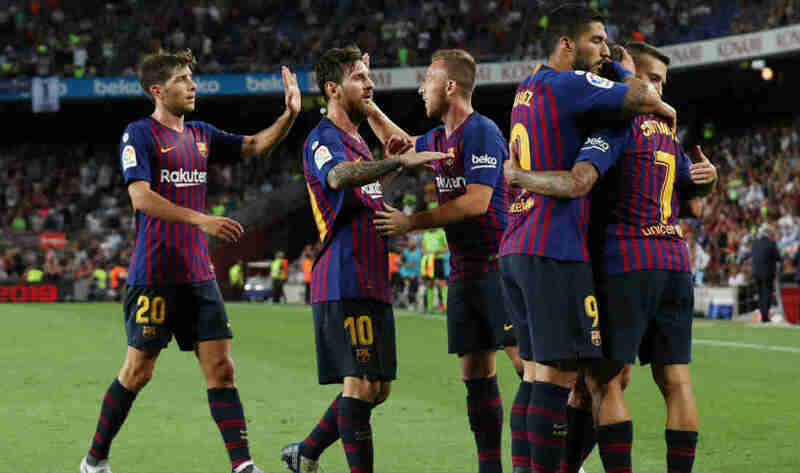 The research was undertaken by three staff members of FC Barcelona’s Sports Performance Department, Andres Martin-Garcia, Antonio Gomez Diaz and Francesc Cos Morera. I was invited to be a consultant, alongside David Casamichana from the Universidad Europea del Atlántico. Together, we used state of the art tracking technology throughout the 2015-16 season to monitor physical exertion of players during training and matches. The methodology across each training day was detailed meticulously to illustrate how the players were prepared for upcoming games and to potentially capture information into why this method seems to work so well. The discoveries were eye opening and highlighted why players are always physically, technically and tactically ready for each game and also how they maintain this throughout a long season. Three or four days before a match, the “Barca model” requires the players to physically exert themselves to their highest intensity of the week through a combination of gym and field based sessions (the latter made up of small-sided games and positional training drills using various pitch dimensions). This means that all training sessions included drills that had a combined focus (physical, technical and tactical). From an anecdotal perspective, some clubs still include a lot of running-based physical preparation, but Barca specifically focused on physical-tactical drills that mimic key elements of match play and simulate certain game situations. As the Barca model combines all aspects of training, the time for these sessions was over ten minutes less than those reported by other elite clubs (small but this time accumulates across the season). This allows the players to stay fresh. One or two days before a game, the model primarily focuses on technical and tactical preparation using control and passing sequences, a positional game with a low number of players per team, and tactical exercises such as set pieces. Training load metrics – such as the high-intensity distance a player covers in training and the number of accelerations – were decreased as the match approached due to a special tapering strategy (reducing exercise in the days just before an important competition). This indicated that coaches were easing off physically but honing the tactical and technical readiness of the players to ensure they were fit and super sharp for the big game. Another key difference our research revealed was how Barca worked players who don’t feature heavily in matches to keep them game fit. In the Barca model, players are expected to come into training in the days after a match. For instance, these sessions involved splitting the squad into two training groups. The first group included players who had completed more than 60 minutes of the match and this group conducted low-impact activity combined with regeneration exercises to aid recovery. Players that had completed less than 60 minutes of the match and needed to “top up” their physical and tactical sharpness took part in a technical/tactical circuit (conditioning exercises that are completed one after another) followed by an intense positional drill and a small-sided game. This additional training provided the appropriate stimulus to maintain the physical capacity of players and is an important tool used by the coaches to ensure players with limited game time are ready physically, technically and tactically when selected. It would seem that the Barca model seeks to vary the physical/tactical load placed on players throughout a typical week and across the season to enable performance to peak and remain high for all players –including those not getting game time. So what is the “Barca way”? It would seem it’s not all tiki-taka and one-touch passing drills but a unique philosophy, blended with excellent coaching and cutting edge sports science. It involves a more complex understanding of what makes players tick. Tactics are key, as is rest and recovery. Many elite clubs will of course be doing their own versions of this. But our research provides a unique insight into what makes one of Europe’s greatest football clubs what it is.